Select the right type of safari based on your budget and the time available to you. Luxury safaris can be expensive, costing over $1,000 a night, and don’t usually last more than a week. All amenities plus food and lodging are covered and the guides who lead the tours are among the best in the business. Then, you can head out on an overland safari which don’t cost as much as the luxury ones but you will have to help out, such as pitching tents and sometimes even cooking. You can also head out on a self-drive safari where you take care of everything, but this is only viable if you have been on a safari in Africa before and know how to manage it. Even more important than selecting the right type of safari is choosing the right destination. There is no dearth of options when it comes to safaris in Africa but in some places, it might be difficult for you to view the animals up close. The best option is Tanzania, where you will find natural parks and conservation areas you can head to on a safari. In fact, Tanzania has the largest population of lions in the world. Notable places to visit on a safari to Tanzania include Mount Kilimanjaro, the Serengeti National Park, and the Ngorongoro Conservation Area. Make sure you check the weather forecast for your destination before you leave on a safari. There is no point heading out during the rainy season as moving on foot will be difficult and visibility can be affected. Moreover, there are is a large crowd of tourists during the peak season so you might not get much privacy. Typically, the best option is the winter, when the weather is dry and animal migration is limited. Of course, it is a good idea to check with the tour operator you are travelling with. 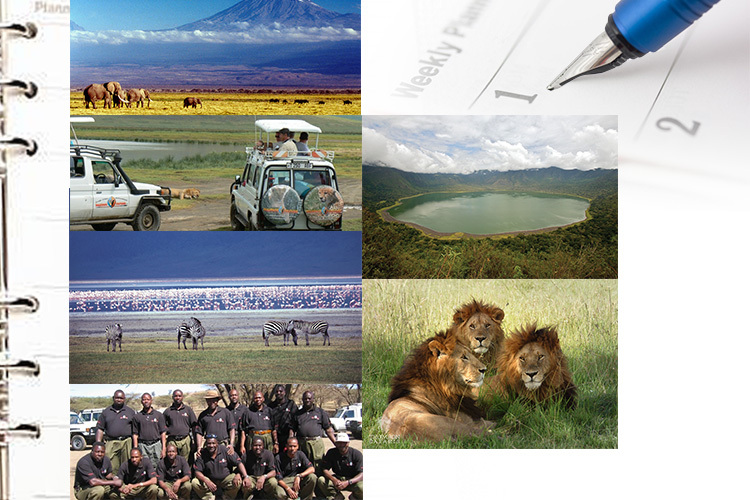 Go online and check the vaccination requirements for the destination you are heading to on a safari. It isn’t a bad idea to consider purchasing insurance before you head out to ensure you can get the best care should you fall sick or contract any of the local illnesses from the region. Last, but not the least, pack the right gear. If accommodation and food will be taken care of, you only to worry about packing the right clothing and footwear. But, if you plan to camp, make sure you have your tents and pegs and other camping material in your backpack or else you will face a lot of hassle on your safari trip. So, these are some tips you can follow to plan a safari trip to Africa to avoid hassle and have the experience of a lifetime. The best way is to choose an authorized safari tour operator based such as Bushbuck Safaris Ltd as they are based in Arusha, Tanzania which is an advantage as they are pioneers in safaris and will ensure that you have the best safari and you will be safe in the hands of their professional team.